It's the festive season once again! We're very excited that the Christmas buzz is building and the whole hotel is getting into the festive spirit, which got us thinking about Christmas gifts. 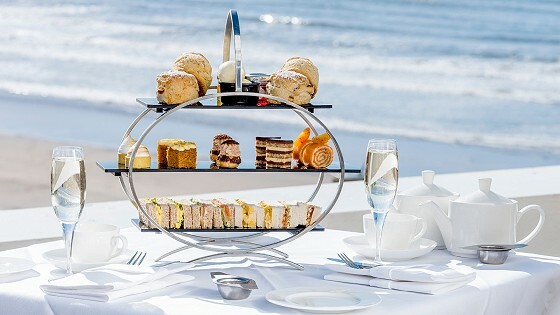 We happen to have the perfect gifts for Saunton Sands Hotel loves, in the form of Brend Hotel gift vouchers that open up wonderful opportunities -including spas, afternoon teas, accommodation and delicious food. So, remove the worry and stress of finding a gift for a wonderful person in your life. We’ve got an array of luxurious experiences that everyone will love. Our vouchers can be used at any of the 11 Brend Hotels - but Saunton Sands has got to be at the top of the list in regards to must visit. They can be used for any manner of treats; from a relaxing escape by the sea in luxury accommodation to exquisite fine dining from award-winning menus in our mouthwatering setting. Simply purchase these vouchers and send them via email or post to a recipient of your choice, who can spend them how and when they wish. 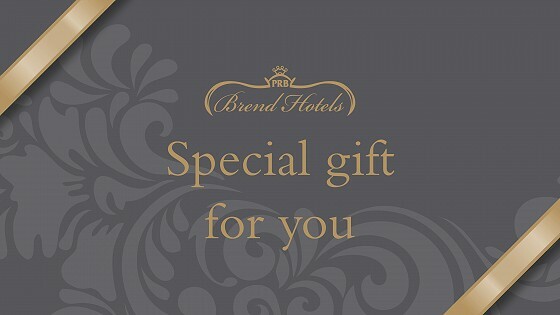 So if you know someone who needs a breakaway to the coast, or perhaps you know a couple who could do with a holiday together, Brend Hotel vouchers really are the ideal gift idea for all occasions. 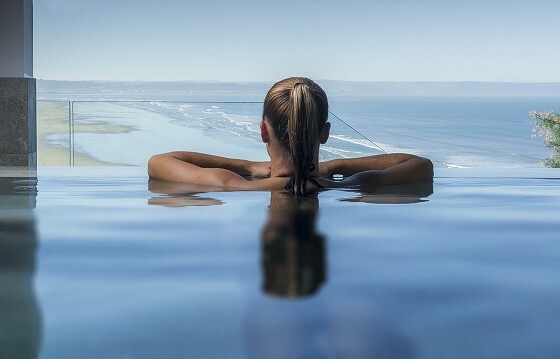 Of course, you've heard about the Source Spa and Wellness centre at Saunton Sands Hotel? But now it's possible to buy gift vouchers for this luxury spa on the North Devon coast. Men and women alike will appreciate getting a voucher for him, her, or couple treatments, spa sessions and wonderful spa breaks. Only opened in 2018, Source Spa us already popular with locals and tourists alike due to its luxurious treatments, world-class facilities and sea view location. Vouchers cover small delights starting at £45, ranging up to a monetary value of £500 which can be exchanged for (or contribute towards) a treatment, a pamper day, a combination of both, or a complete break with accommodation. If someone you know deserves to be pampered, this is the ultimate way to do it. Indulge in our Silver Service Afternoon Tea for two. With delicately made sandwiches and a selection of beautifully handmade pastries this is a fabulous gift to give. Like our other vouchers, it can be purchased and sent to your inbox instantly, ready to present how and when you wish. Perhaps the recipient will even take you with them. 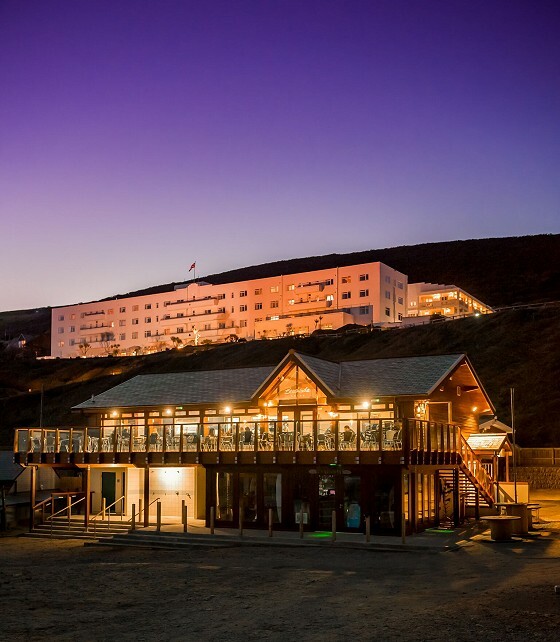 Enjoy chilled surf-side dining at The Beachside Grill on Saunton Beach. With a huge choice of dishes on offer, this restaurant with sea views is the ideal place to indulge in fresh, local produce and soak up the beach vibes with friends and family! Select from a Breakfast option, an all-day dining menu and a kids menu too, alongside a great selection of drinks and cheeky desserts. You can buy unique Beachside Grill vouchers to give as a gift this Christmas, ranging up to £50, which can be spent on covering the bill after a hearty meal. 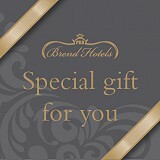 Fantastic news, if you've got a Brend Hotel voucher or a specific voucher for use at our hotel, you can book at any time. If you are looking for accommodation for a wonderful beachside break, discover our latest offers to make a monetary voucher go as far as possible. Or, if you are looking to dine with us, call our team directly on 01271 890212 to book a table in The Dining Room.